We’ve been in the Netherlands for over two years now. The Big Little is a fluent Dutch speaker, the Middle Little is well on his way and our Little Little responds to some Dutch commands. Jeff and I still don’t speak Dutch but we can read and understand enough to manage life. 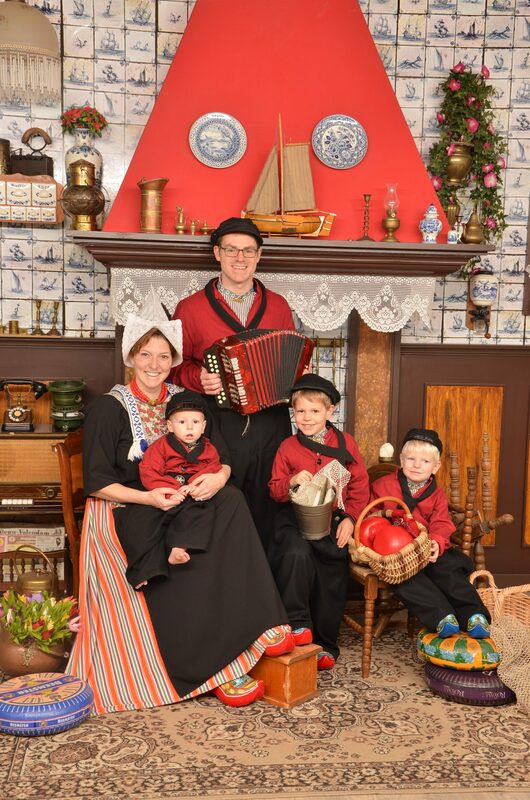 We decided very early on that we wanted to encourage the kids to learn Dutch. This one decision has driven so much of our experience in the Netherlands. (We think for the better.) The kids went to local schools meaning their friends and thus our friends are in our neighborhood. We take them to Dutch movies and performances in town. We really feel like part of the community in our town. The hardest part has been supporting their Dutch language journey as non Dutch speaking parents. I’m continuously asking our Dutch friends to write down the program they are using with their kids, or where to purchase particular books. I’m happy now to bring my resource list to you in hopes it helps you support learning Dutch at home or that it inspires you to seek out similar resources in your community. Dino Lingo | We stared our journey into Dutch with the Dino Lingo program. I bought the full set before leaving the U.S. The method seems a bit crazy but it works. The kit comes with videos, an audio CD, charts and flashcards. The videos have an annoying little tune and show the word and an animation. The first time I did the word chart with my Big Little he knew three of the words, a month later he knew nearly a third of them and a month after that he knew all but a handful of the words presented in these videos. Admittedly most of what I know in Dutch is also from these videos. I just recently got the online program for Japanese to help us prepare for our next move. Music Class | When we moved to Delft the first thing we did was find a local kids music class. There is no better way to learn the language than through music. Sure, I was pretty confused in lessons but I learned what was going on and the Big and Middle Littles learned the language. The other moms were incredibly helpful and the little ones hardly knew they were learning at all. We moved on from music and into dance classes and later swimming. The more Dutch the kids were exposed to the quicker they picked it up. School TV | This collection of online videos can be sorted by age and is a great way to help kids adjust to Dutch. My kids bite anytime I offer a bit of TV time so having a source of educational Dutch videos was a huge win. If you haven’t seen the Netherlands’ blue Big Bird it is worth checking out. Lost My Name Books | The Wonderbly personalized books are a huge hit in my house. When I discovered we could get the “Lost My Name Books” in both English and Dutch we were so excited. The Big Little is learning to read and nothing catches his interest so much as a book about his own name. We love reading him his English copy and he has the babysitter read the Dutch version. Squla | Squla is an educational app available in many languages. We love it and the kids beg to play it. It is basically like school on your phone. Squla has a parent portal so you can keep up with your child’s progress. The vocabulary section updates seasonally which was a huge help in giving the Big Little some social queues about what his friends will be talking about at school. Taalzee | Another great online game for kids that focuses on the Dutch letter sounds is Taalzee. My kids use Taalzee at school so using it at home reinforces what they are doing there. Nighty Night | The Nighty Night app was one of my kids’ favorite even before me moved. You help put everyone on the farm to sleep by turning out the lights. If you head into settings you can change the language on the book. I changed it to Dutch and the kids still loved playing it. There are many apps in which this technique will work for you. The Library | I was so intimidated by the library when we got here. Turns out it is a great place for us all to hang out and learn some Dutch. You can easily find a few books that you already have in English which will help you and your child understand the Dutch more easily. We also went to Dutch story time. We had no idea what was going on, but quickly figured it out. The libraries here in the Netherlands require you to sign up in order to check out books, but visiting the library is absolutely free. Online Dutch Lessons | This group provides online Dutch lessons for kids. The curriculum is based on the kid’s age and ability. The lessons are engaging and one-on-one. This is one of the options we are considering for keeping up the kids’ Dutch when we move away. Here is another list of helpful Dutch apps for kids from Amsterdam Mamas. I received copies of the Lost My Name Books in both English and Dutch in exchange for this review. All opinions are my own and I would never recommend something I don’t love.